See the pictures for the kinds of trees we will lose! 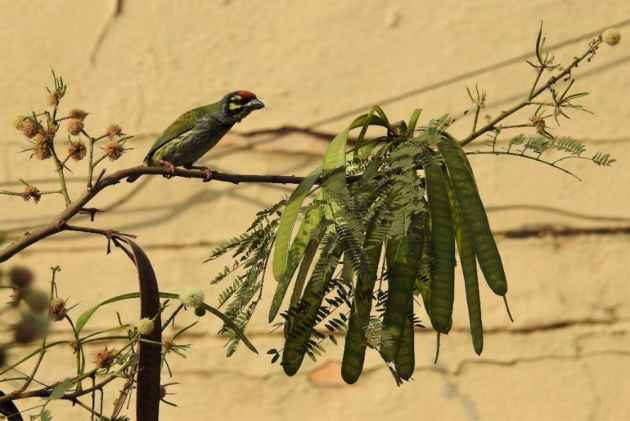 Coppersmith Barbet on Subabul tree. 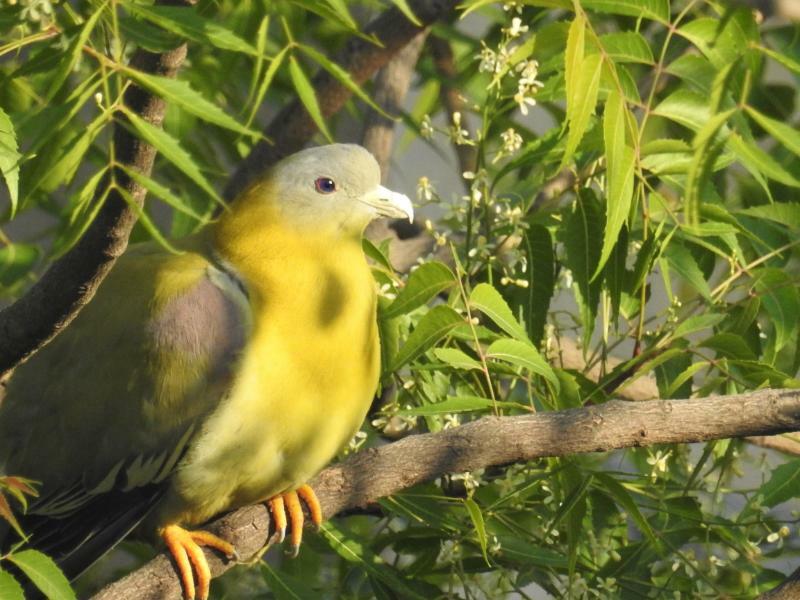 Yellow-footed Green Pigeon on Neem tree with blossoms. 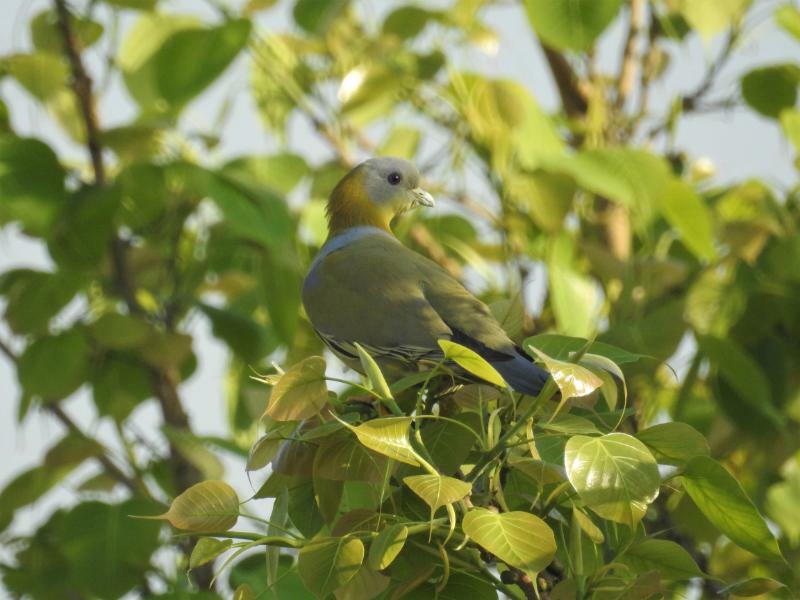 Yellow-footed Green Pigeon on Peepal Tree. 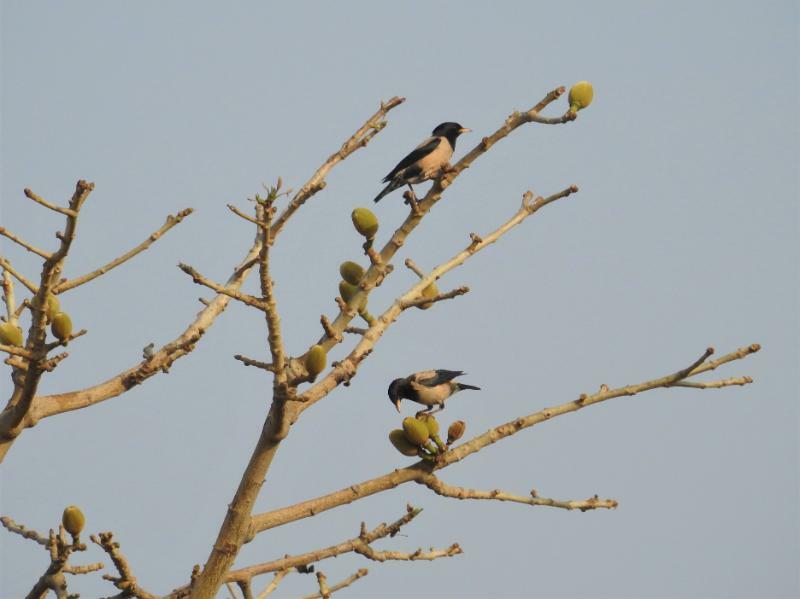 Rosy Starlings on Semal tree. This first appeared in Outlook. ← A Bird, a Dam, and a Belief.